Program participant Stephen Thomas discovered there was a variance in his blood pressure after getting a free blood pressure check and monitoring his blood pressure through the TerryWhite Chemmart app. His local TerryWhite Chemmart Brookside pharmacist referred Stephen to a GP for further monitoring and investigation. One in 10 Australians who participated in a national blood pressure check health program have been advised to seek further medical attention for possible high blood pressure. Over 10,000 Australians participated in the health program coordinated by the National Heart Foundation and TerryWhite Chemmart during the month of October. More than 1,000 participants were advised to see their local GP after receiving high blood pressure readings above 140/90mmHg. 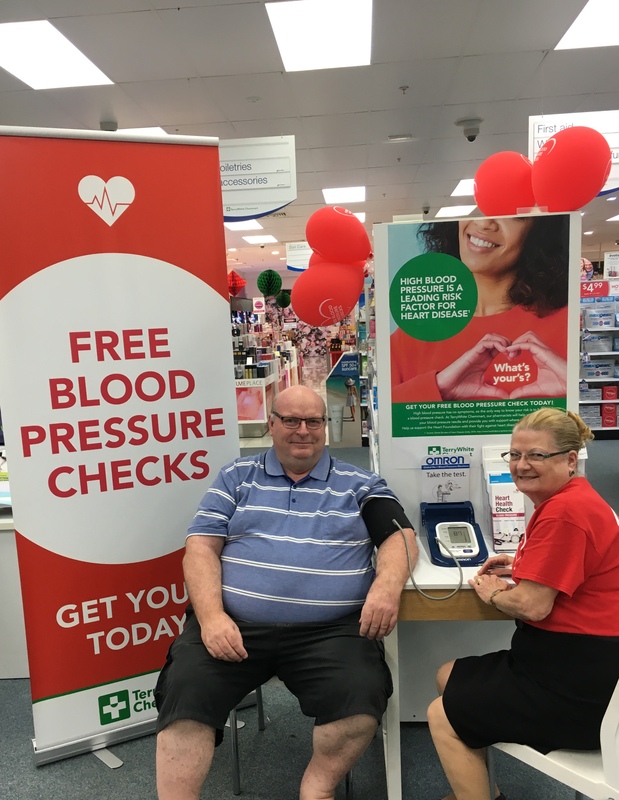 The health program, which offered free blood pressure checks at TerryWhite Chemmart pharmacies around the country, aimed to raise awareness of high blood pressure as a leading risk factor for heart disease and stroke. TerryWhite Chemmart pharmacist Krystel Tresillian said the high response rate of customers receiving blood pressure checks was a positive sign.